First and foremost, this might be one of the best looking games I have ever seen, and I’ve been an avid fan of the Final Fantasy franchise for some time (if you know what I mean). From the first moments of gameplay the sheer beauty of Horizon is astonishing, the robotic animals scampering around the naturally reclaimed apocalyptic landscape is both haunting and inspiring. 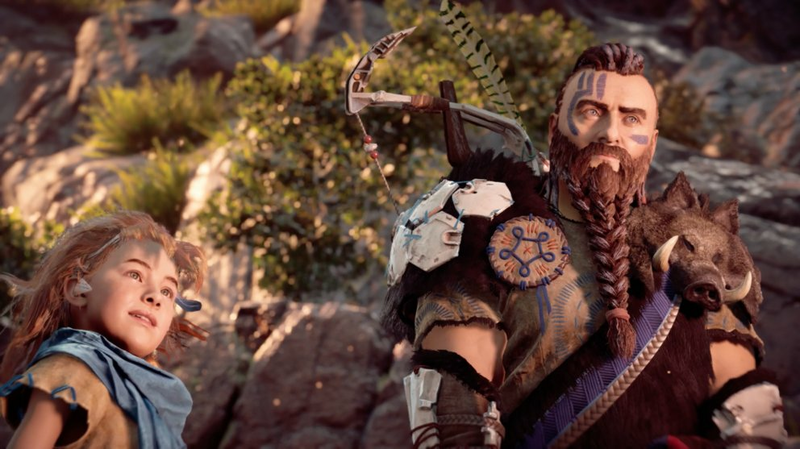 But we’ve all seen graphics before, what makes Horizon really special are the facial animations and body movements. These breathing cycles and eyebrow wiggles have managed to successfully scale the impossible cliff face of the uncanny valley. Plot: If Rost dies we riot. I cared about Aloy and Rost (our protagonist and her mentor) right out of the gate because they look and feel like real people. They represent a culmination of great animation, writing and vocal performances that I haven’t really seen in a lot of titles this generation. Most games manage to tick one of those boxes but Horizon gets all three just right. 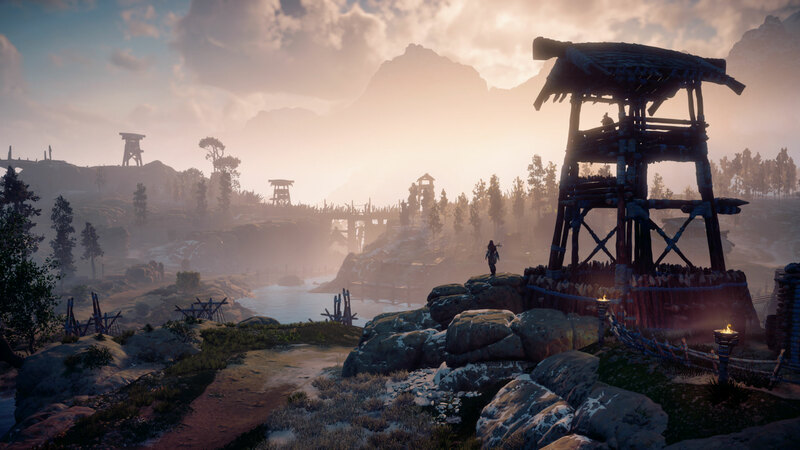 The opening builds up the personality of Aloy with some scenes from her childhood that gives us just enough information to understand her and Rost’s motivations. This then leads to her first big challenge; being accepted into the tribe that have excluded her and Rost for their entire lives. Unfortunately, I can’t take you past that because instead of following the main story I was entirely side-tracked by the open world of the Cradle and the lands beyond. Horizon Zero Dawn is an open world game that gets it right. I saw a review from the Jim Sterling where he claimed that Zero Dawn was a melting pot of various successful open sandbox games, taking the best from each of them, and I can’t agree more. It has story driven side quests, a huge yet detailed map, varied terrain and a series of collectible items that reward exploration. The crafting system takes a little bit of trial and error to fully understand, I lost some weapon mods while tinkering with my bow, but on the whole it’s easily on par with the likes of Dead Space, Far Cry and others. I wouldn’t go as far as to suggest it has Bethesda-level crafting or side quests. But where it falls short against Skyrim or Fallout in those departments, it overtakes in combat and movement. A well trained woman with some cybernetic guidance and a standard bow is unlikely to win in a skirmish against a large robotic beast. Pneumatic legs will always beat human chunks of meat. Horizon knows this. So while you can go charging in with a spear and hope for the best, which is certain death, the game allows you to intelligently deploy an arsenal of traps and equipment to deal with your robotic enemies. It reminds me a little of the Arkham games in this instance, as you monitor and study the various creatures that make up the landscape, learning their weaknesses and new strategies to deal with them. This leads to a point where you can set up an ambush to perfectly take down your enemy. There are even some enemies, like the Broadheads, that reward you for your knowledge of their anatomy by dropping bonus items after being shot in the right areas. With combat like this, I have to say I was extremely impressed with Horizon: Zero Dawn. 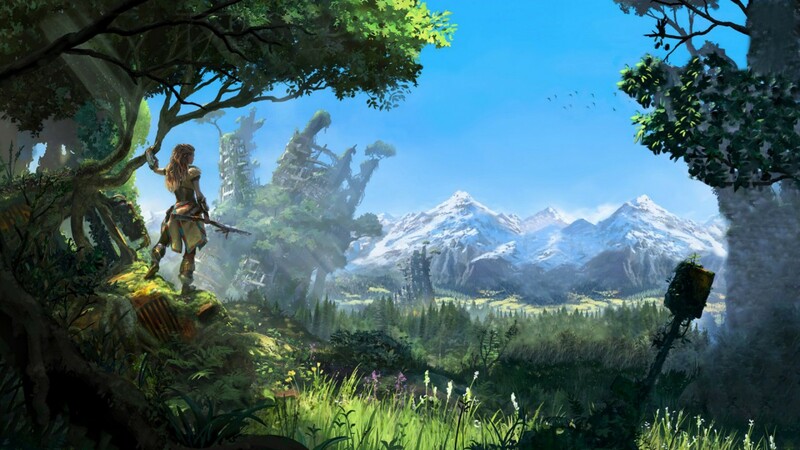 If you haven’t worked it out by now, I’m going to be strongly recommend Horizon: Zero Dawn. It’s a beautiful game that really pushes the limits of both the medium and the console it’s played upon. It’s the first game I’ve played on my 4K TV and PlayStation Pro that have really justified the purchase to me. I can’t say it’s perfect however, I encountered a few bugs in my first three hours and I wish the crafting had had a slightly better tutorial, but overall Horizon: Zero Dawn comes with my highest seal of approval! Go buy it today and get hunting! Great review man, do you ever share your first impression posts on any video game sites? Unfortunately not, I, like the rest of the team, mostly just post here.